In its continuing quest to remain current and draw in a larger audience of kids, Mattel just added another Barbie doll to its Careers line: Game Developer Barbie. Sporting sneakers instead of heels, neon-streaked hair, and casual chic hipster garb (including skinny jeans and a “Control-Alt-Barbie” shirt), this Barbie was designed to inspire a new generation of STEM-savvy builders, makers, and coders. 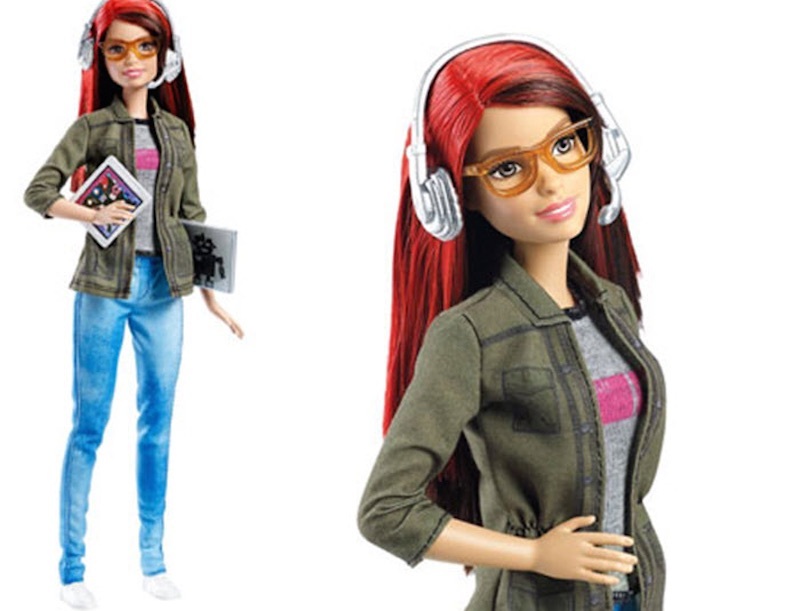 Mattel worked with a female CEO of a game developing company to give Barbie credibility as an accomplished and confident tech star with details including a laptop that shows real code as well as headphones, a tablet, and glasses. News of Game Developer Barbie has spread fast with positive reviews by tech industry insiders and parents who are psyched to have a doll role model with serious STEM skills, “industry-inspired” style, and a “girls rule” attitude — the doll is already out of stock! We have to give Mattel credit: they finally seem to be getting the message that breaking the Barbie mold will endear them to a modern, forward-thinking generation. In its continuing quest to remain current and draw in a larger�audience of kids, Mattel just added another Barbie doll to its Careers line: Game Developer Barbie. Sporting sneakers instead of heels, neon-streaked hair, and casual chic hipster garb (including skinny jeans and a "Control-Alt-Barbie" shirt), this Barbie was designed to inspire a new generation of STEM-savvy builders, makers, and coders. 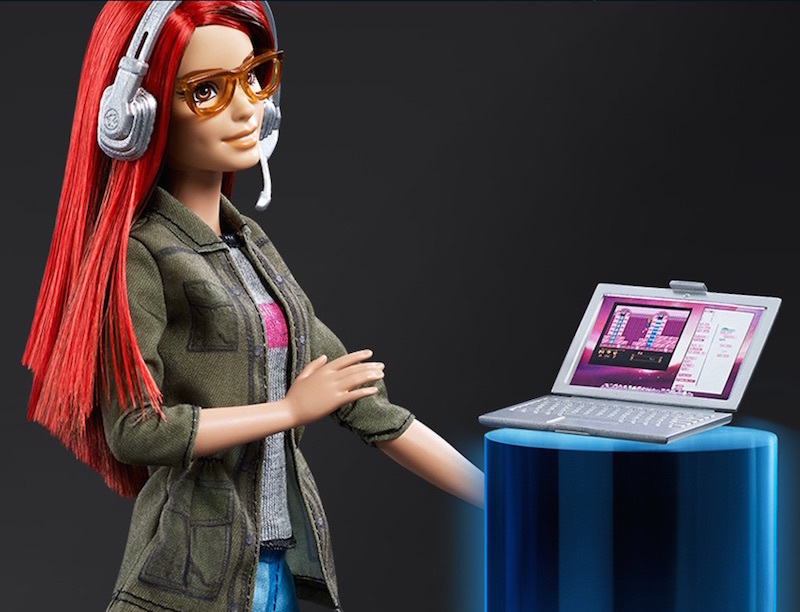 Mattel worked with a female CEO of a game developing company to give Barbie credibility as an accomplished and confident tech star with details including a laptop that shows real code as well as headphones, a tablet, and glasses. News of Game Developer Barbie has spread fast with positive reviews�by tech industry insiders and parents who are psyched to have a doll role model with serious STEM skills, "industry-inspired" style, and a "girls rule" attitude -- the doll is already out of stock! We have to give Mattel credit: they finally seem to be getting the message that breaking the Barbie mold will endear them to a modern, forward-thinking generation.